There have been major developments in the case of Nan-Hui Jo, the Korean American survivor of domestic violence who fled with her young child to Korea to escape a dangerous and abusive relationship, only to face kidnapping charges when she returned to the United States for a visit. Earlier this year, Jo was retried on charges that she kidnapped her daughter — her first trial ended in a hung jury. Jo’s abuser, who is her daughter’s father, claims that Jo’s escape to Korea violated his parental access. Yet, at the time of Jo’s departure, she was facing loss of legal immigration status and was facing deportation. Jo’s abuser, Jesse Charlton — an Iraq war veteran — confessed that at the time he was unemployed, emotionally unstable due to largely untreated PTSD and substance abuse, and was not prepared to assume full-time custody of their daughter. Facing the possibility that she would become an undocumented immigrant (and therefore unable to obtain work) and fearing for her and her daughter’s safety if they remained within Charlton’s influence, Nan-Hui Jo did what conservatives dream of: she “self-deported” with her child. While in Korea, Jo received several emails from Charlton demanding that she return their daughter to the United States. While most emails were pleading in tone, in one email, Charlton threatened to send a mutual friend — a “scary” bounty hunter who had taken lives in the Iraq War and whom both were aware had allegedly raped his wife — to find her. Frightened by these emails, Jo further distanced herself from Charlton and refused to respond to him. Last year, when Jo applied for a travel visa to visit the United States to tour schools for her daughter, who is an American citizen, was Jo arrested and charged with kidnapping. 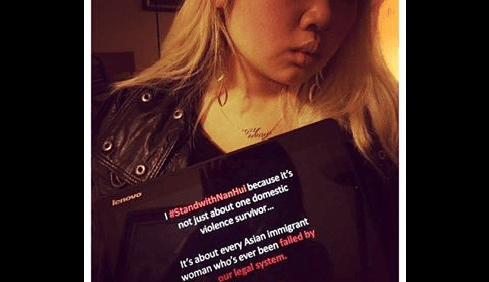 Jo’s retrial galvanized the Korean American community and domestic violence advocates. Jo’s supporters argue that the charges against Jo — whose abuser confessed on the witness stand to grabbing Jo by the throat and throwing her against a wall — are punitive retribution for steps Jo felt were necessary to protect the physical safety of herself and her child. In some studies, up to 2/3rds of Asian American women say that they have experienced domestic abuse in their marriages. Confoundingly, Jo was found guilty last month on the kidnapping charges, even after one juror was permitted to recuse herself on the grounds that returning a guilty verdict in the case would be immoral and unjust. Next Tuesday, Jo faces sentencing and possible deportation, which would likely prevent Nan-Hui Jo from having further contact with her daughter for (at the very least) the rest of the child’s upbringing. That verdict may be an interpretation of what the law expects, but it is not what justice looks like. An Instagram user posts her support for #StandWithNanHui. However, there is new hope in this case. Riordan has hit the ground running. 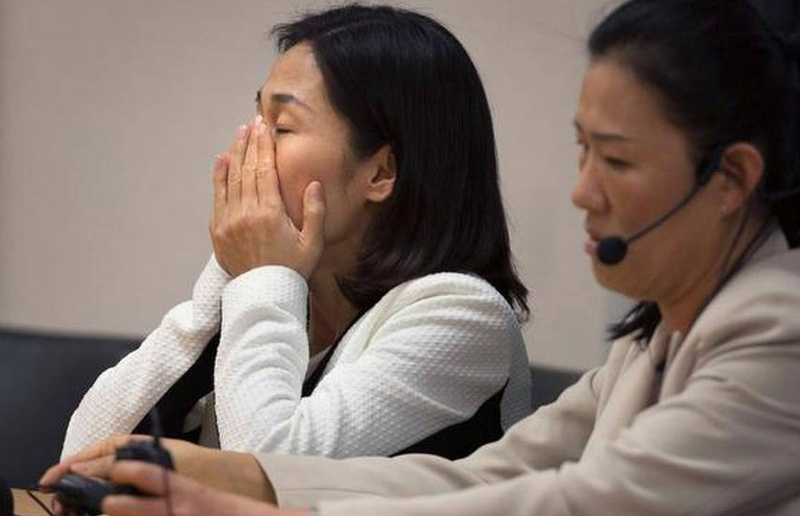 After filing a 4-week continuance on the sentencing so that he could familiarize himself with the case, Riordan has now filed a motion to set aside Nan-Hui Jo’s guilty verdict, citing “multiple, serious legal errors” in Jo’s second trial. 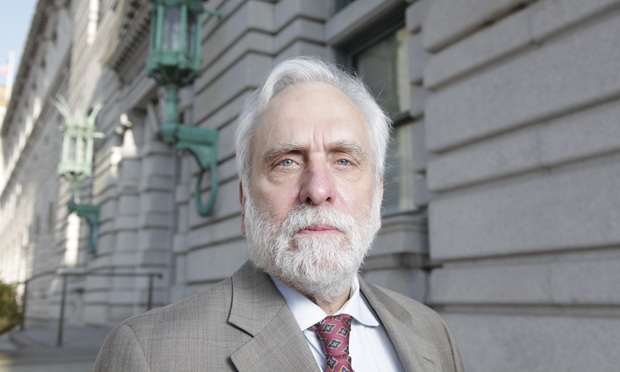 Riordan’s motion charges that the judge in Jo’s case — Judge David Rosenberg — made a fatal error in jury instructions that led to Jo’s wrongful guilty verdict. The kidnapping charge that Jo was found guilty of requires that the kidnapper exhibit “malice” in committing the act. There are legal precedents that guide the determination of “malice”. This is not a small error, because it was the definition of malice that caused the juror to question the legal definition of malice, which resulted in the judge dismissing her. From our perspective, there are two key points that Mr. Riordan raises. First, that the judge erred on his instruction on malice. And second, as a result, there was no malicious or unlawful taking of the child by Ms. Jo. Toward the issue of jury instructions, this case is unusual in that there is no way to deny that, if the judge misinformed the jury on the legal definition of malice, it was a harmful error. Judge Rosenberg dismissed Juror #5, Denise Hoffner, from the jury over the objections of the defense – after she brought it to the judge’s attention that, while she did not believe Ms. Jo acted with malice, the way the law was written, she would have no choice but to convict. In other words, Ms. Jo had to be aware at the time that she was breaking the law to have illegally abducted her daughter, rather than simply being aware of her actions and performing them intentionally, as the jury interpreted them. It remains to be seen whether or not Riordan’s motion will result in an overturning of Jo’s guilty verdict. However, what is clear from Greenwald’s editorial on the Davis Vanguard that justice has not yet been found in this case. Greenwald, whose website has been maintaining a courtwatch of the trial proceedings, lays out the legal and moral Catch-22 that Nan-Hui Jo faced when she made the impossible decision to escape her relationship; her circumstances defy the notion that she acted recklessly and with malice intent in removing herself and her daughter from the situation. In fact, from Jo’s perspective, she was acting in compliance with federal law. Nan-Hui Jo and Jesse Charlton engaged in a passionate relationship that resulted in the birth of the child. At the time, Mr. Charlton was neglectful of his responsibilities and was suffering from PTSD. He attempted to convince Ms. Jo to have an abortion, while family members attempted to convince her to give the baby up for adoption. Ms. Jo, due to her financial problems, was forced to drop out of school, which put her student visa in jeopardy. As a means of rectifying the situation, she attempted to marry Mr. Charlton, but he declined to do so. Tensions escalated and Mr. Charlton admitted on the stand that he assaulted her by lifting her by the throat and slamming her into the wall. Facing a federal immigration directive to leave the country, Ms. Jo made plans to leave. It was only then, at the last moment, that Mr. Charlton attempted to keep his daughter in the country by filing for custody rights in the family court. The immigration pressure, along with Mr. Charlton’s physical abuse and verbal threats, ought to paint Ms. Jo’s actions in a very different light. One can only hope that Riordan’s influence on Nan-Hui Jo’s defense will finally shine that necessary light on this domestic violence survivor’s plight. However, given how this case has attracted all matter of domestic violence apologists who express a breathtaking range of defenses for domestic abuse, I hope you can forgive my fears. For far too many, it’s easier to find an American male abuser more sympathetic than his victim, a foreign-born non-English-speaking woman of colour. Banner for next week’s Pack the Court event. Please join us for Nan-Hui’s sentencing next Tuesday, and help us make calls to ICE and CBP until then. 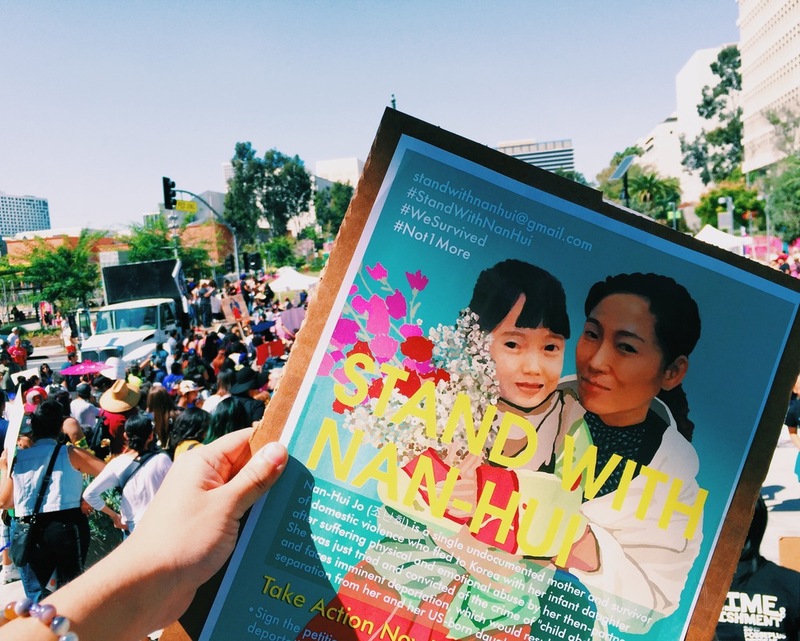 We need your support ramping up the calls to ICE/CBP again, because we are very concerned about the likelihood that Nan-Hui will be picked up by ICE *that day* if she is released—we heard recently of another undocumented person who was taken by ICE from the lobby/waiting room in Yolo County Jail. Call ICE and CBP to say DROP the immigration hold and NO deportation proceedings for Nan-Hui! Help is needed to apply pressure to Immigration & Customs Enforcement and Customs & Border Protection, asking that the deportation proceedings against Nan-Hui Jo be dropped: in addition to phone calls and emails, you can sign this petition and participate in an ongoing Twitterstorm to @icegov and @CustomsBorder. Please also tweet all of your action to #StandWithNanHui. Next Next post: Here is the Power Ballad Pac-Man Recorded for #MayweatherPacquiao. You Have To Hear It.